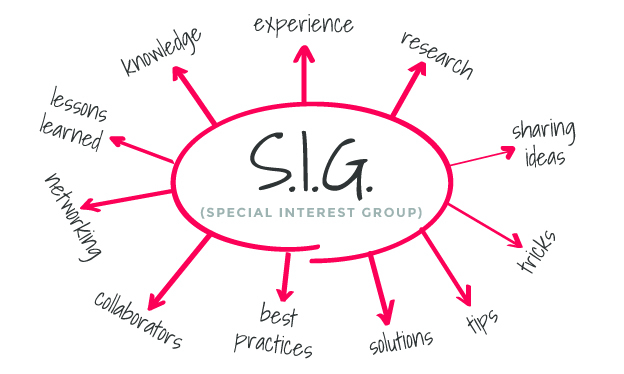 In an effort to offer our local members more opportunities for informal knowledge sharing and peer networking, the Greater Richmond ATD Chapter hosts a variety of monthly Special Interest Groups (SIGs). SIGs are based on either specific areas of focus in the training & development field. The only requirements for joining a SIG is chapter membership. If you are interested in participating in one of the SIGs, join the chapter via the Membership section of this website and contact the SIG Leader of the group you are interested in. Each meeting addresses a pre-determined topic and is led by a Greater Richmond ATD Chapter/SIG member who volunteers to facilitate topic related activities as well as group discussion around topic related research, experiences, and questions. All participants are encouraged to join in the discussion. Meeting dates and topics will be promoted on the Greater Richmond ATD website and through SIG member e-mails. This is a free benefit for Greater Richmond ATD Chapter members. Non-members can participate in one (1) SIG meetings per calendar year as a guest of a member. Some meetings may have a small cost to cover food & beverage expenses. Click a SIG title below to learn more about the specific Greater Richmond ATD Chapter SIG. The Greater Richmond ATD Chapter needs YOU to be a SIG Leader! And, most importantly, assisting the Special Interest Group in meeting its goals and objectives. Consider becoming a SIG Leader. It promises to be a rewarding experience!